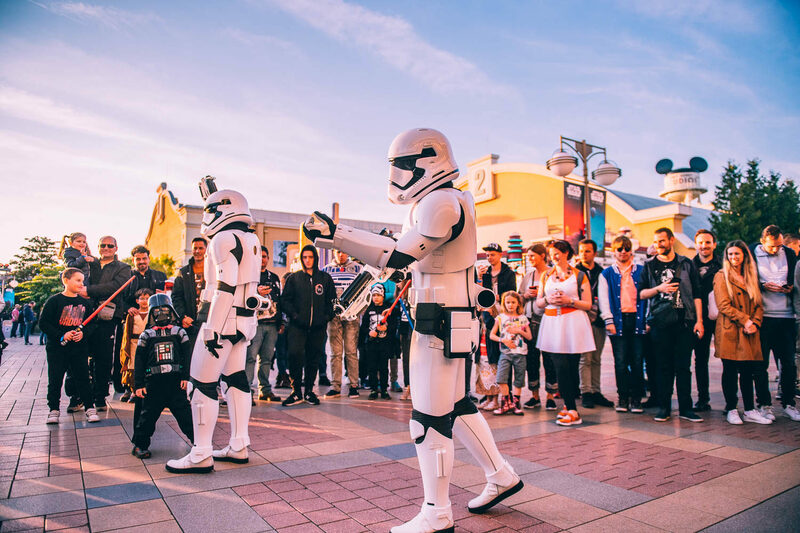 This should come as no surprise to anyone, but the Disneyland Paris will again be hosting the biggest Star Wars event of the year this side of the ocean. 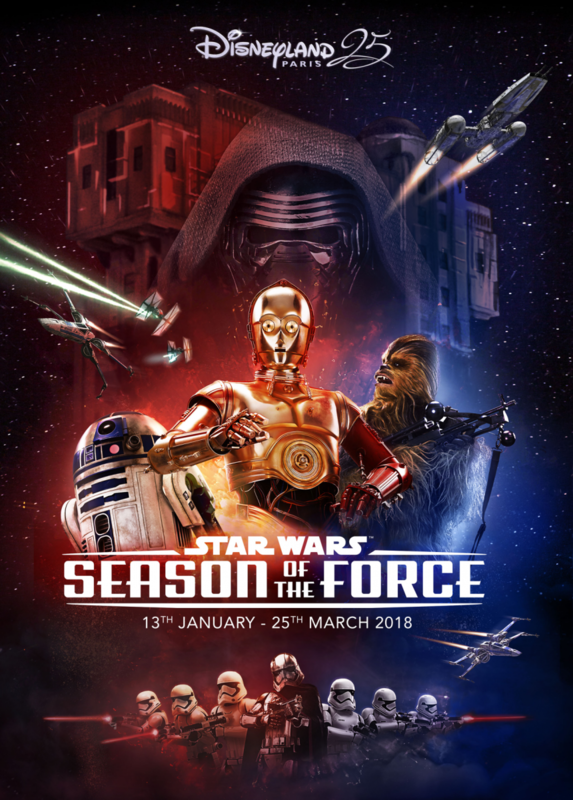 Ranging from Januari 13th to March 25th, it’s Disney’s response to the calm off-season peak and fill it with one of their biggest franchises. For now it seems like a successful repeat of last year’s event. Also, don’t forget to read our behind-the-scenes look at last year’s Season Of The Force. So let’s delve in and see what Star Wars fans can expect during Season of the Force, both seasonal as permanent entertainment. 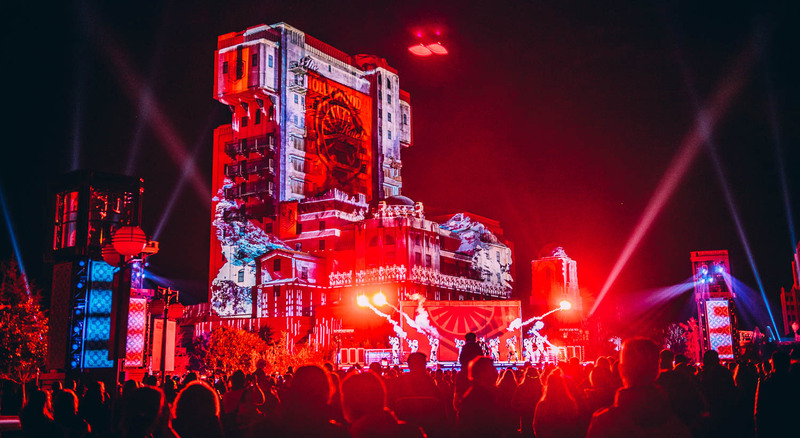 The nighttime spectacular again fills the The Twilight Zone Tower of Terror (Guardians Of The Galaxy: Mission Breakout to be?) with a visual celebration of Star Wars. As expected, the show will also feature scenes from Episode VIII: The Last Jedi. If the program is like last year, a French and English version will be shown, depending on timing. Just imagine Walt Disney Studios Park lighting up in true Star Wars style at nightfall with a breathtaking sound and light show. 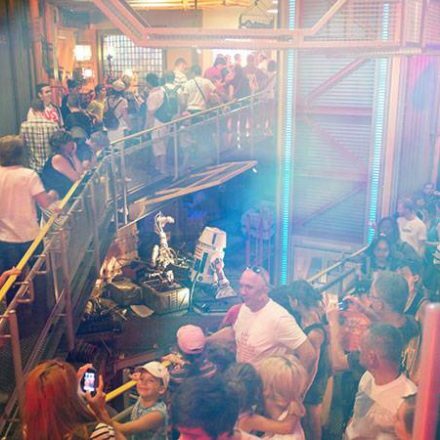 Film projections, special effects and, of course, the Star Wars characters on stage! The legendary characters of the Empire, the First Order and the Resistance will make an appearance in this show celebrating the heroes of the saga. The stage show is a character-lover’s dream, with all of the characters you can see during Star Wars: A Galactic Celebration, but in the day time, and a whole lot more stage presence. Again, a French and English show are to be expected. The last of the three seasonal exclusives of Season Of The Force is Captain Phasma walking with her First Order Stormtroopers through Walt Disney Studios Park. These Stormtrooper Patrols have been performed most year round as they are a simple but very effective way of adding atmosphere to Paris’ second gate. As we reported earlier, the planet Crait will be added as a destination for Star Tours, and this is no different in Disneyland Paris’s latest updated attraction. 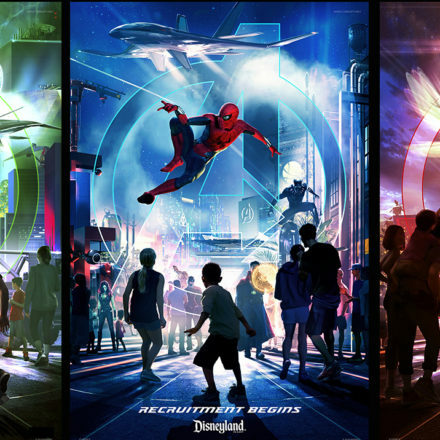 New experiences, new destinations, new characters, new technologies – the attraction returns, with more than 70 different mission combinations. More to come from 22 November 2017: a new adventure on Crait, featured in the upcoming film Star Wars: the Last Jedi will join the Star Tours experience. With Project Sparkle bringing many updates to Disneyland Paris, not every of those updates are without controversy. However, Space Mountain has always been the centre of controversy since the Mission 2 update in 2005. 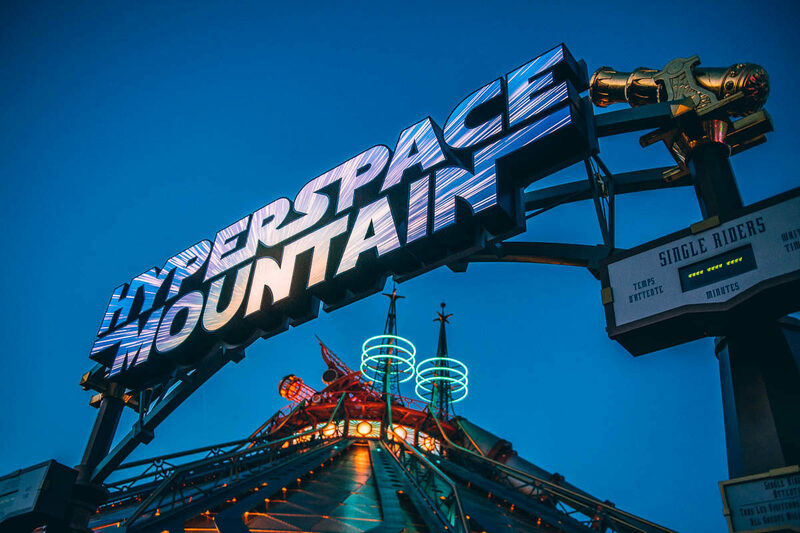 Pre-opening on the first Star Wars Nights, Hyperspace Mountain has been getting rave reviews, despite it just being a semi-permanent overlay. Path Of The Jedi, which is arguably the worst translated product ever to hit the parks isn’t listed anywhere in the press materials, and neither is the fan favourite Jedi Training Academy. Ending their run back in september, the latest rumours are that the show will move into the Discoveryland Theatre, taking over Path Of The Jedi. While it will miss the massive audience that’s eating in Café Hyperion, it’s something that could bring a lot of life to this part of the park.